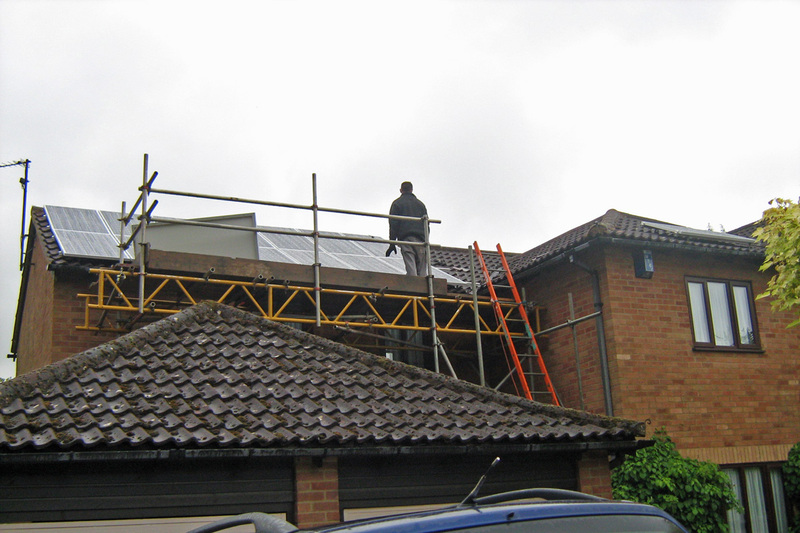 Today is a big day as we’ve having a second solar array installed – this should provide sufficient electricity to cover the remaining usage for the house, plus enough left over to charge the ZOE. 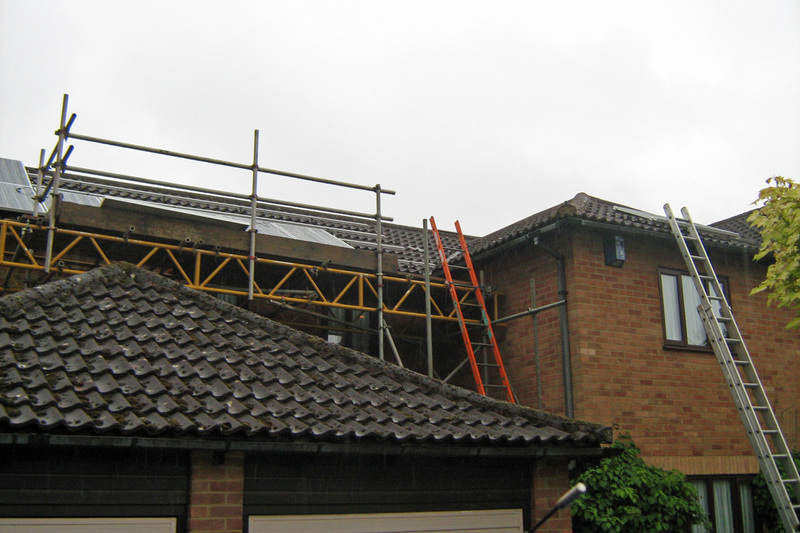 The rear roof of the house is completely covered by the existing system so this one has to go on the front. That means it will be north facing so I’m prepared to have a lower than average yield. However, the predictions I’ve seen imply that it will still be economic, it will just take a little longer to pay off – perhaps 10-11 years rather than 8-10. Last night after the scaffolding went up I cleaned the moss off the roof tiles – not necessary, but the only opportunity I’ll get to do it. 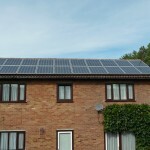 I finished that this morning just before the installers (Greenday Renewables) turned up. 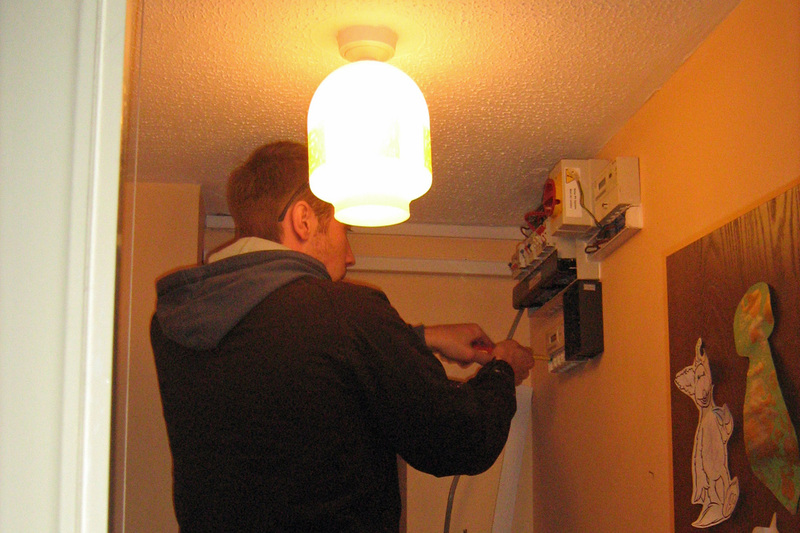 It’s now the afternoon and so far most of the panels are up on the roof, and the inverter is in the loft, and currently all the connections into the consumer unit/fuse box are being made. Update: It’s now the evening, the installers have gone, and I’ve finished tidying up. The weather was foul for most of the day, with almost non-stop rain from late morning, which made things harder (and a bit messier) than usual. Nonetheless the system is complete and working, although the amount of energy being generated at the end of a day when the sky is overcast is relatively small, making it harder to confirm that it is wired and operating correctly. 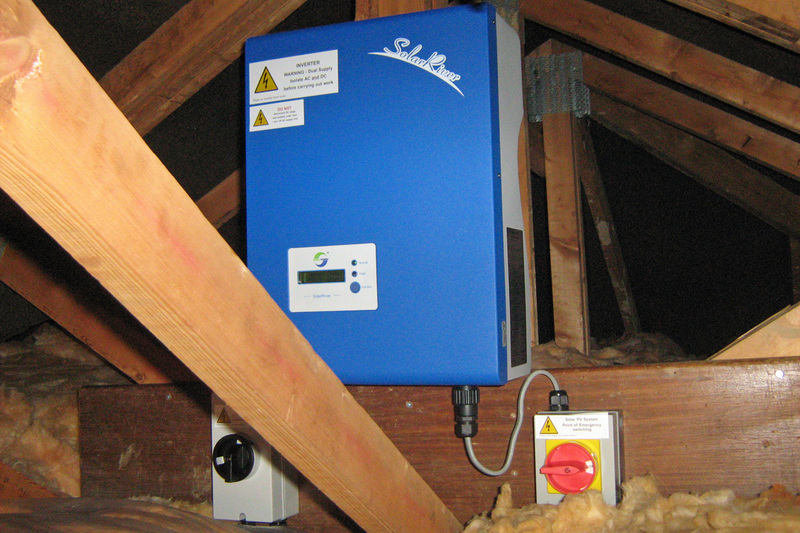 The inverter in the loft is fixed to a wooden upright as the prime location (the end wall nearest the consumer unit) has the inverter for the existing solar array. I made up a wooden board and that went across the upright to mount the isolators. 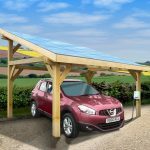 This time around the system includes the addition of a Wattson Solar Plus Energy Monitor . It displays total solar generation less usage, so you know how much ‘free’ electricity there is to spare (which might prompt you to switch on the dishwasher, etc.). More on Wattson in a later post – suffice to say for the next few days I’ll be switching things on and off to see the real-time effect on our usage and so work out where in particular our energy (and therefore money) is currently going. Previous PostBouygues Gets a ZOENext PostWhere Were You When CO2 Hit 400 PPM? This topic contains 21 replies, has 5 voices, and was last updated by Trevor Larkum 4 years, 10 months ago. I have a solar installation with 10 panels facing pretty much due South and 6 panels facing pretty much due West – all are 250W panels giving me 4kW rated output. I’ve noticed over the last few months that there is sun on the north facing part of my roof, but only later in the day (and probably early before I’m outside looking at the roof!). I have a SolarEdge inverter with optimisers on each panel so I can see production for each panel each day and I can even look at the way the production changes throughout the day. I’m interested in your view that the pay back is likely to be so close to the south facing panels. 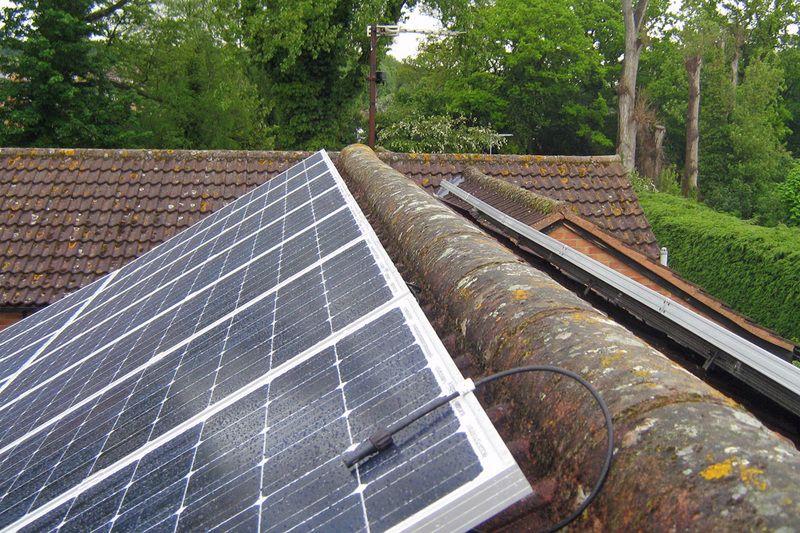 Are you taking your system above the 4kW break point for FiT payments? Post updated and pictures added. 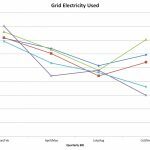 @nickh: I’m basing my optimism on some solar insolation sites that indicate the loss isn’t huge for north-facing, on the payback given with the quotation for the system, and on observation – the front of my house seems to get a lot of sun. Other factors include the fact that we have a low pitch on the roof, so north-facing and south-facing are slightly artificial distinctions, and the fact that our house isn’t quite north-south, so really the new array is NNW. However, I appreciate I’m taking a slight chance but don’t have a problem with that. 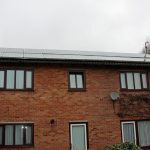 The first system was 3.7kWp so we had to apply for DNO permission before installing more PV – essentially we have two complete systems now, each with their own meter so we get the 2010 FIT rate for the old system and the current (much smaller) FIT rate for the new system. 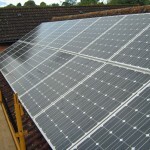 An interesting related discussion here: Are 4kW solar PV installations a thing of the past? 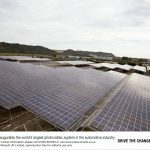 – we actually got permission very quickly and without any hassle, perhaps because there don’t seem to be many solar systems in the roads around us. My advice is to anyone considering solar is always – do it, and do it soon. It only gets harder as time goes on, and the financial and climate change benefits decrease. I’d suggest a must more likely explanation is that in sunny weather, a significantly larger portion of the population are out of their houses and therefore not using as much electricity. Do people have that much flexibility? In June of both years I would have been at work as usual and probably didn’t notice the weather, never mind decide to go out because of it. And I’ve had thought that during the day the bulk of electricity demand would be from businesses and industry. A couple of videos showing how fast solar can be installed (in US and Australia respectively) though it’s not quite so easy over here (due to our more substantial walls and tiles, and taller buildings?). Checking my Wattson meter I can see that we’re generating up to 2.8kW today. Even with the telly, washing machine and tumble dryer on we have 0.5kW left over – it makes me want to run round the house turning on the lights just so it isn’t wasted! And it’s only 1 February! Currently uhming and ahing about using my mainly west facing roof to add to our capacity.I have a 2.2kw system on the south facing parts, generating up to 1.85kw (north west England) and recently got a quote for another 1.8 on the west side. The reason I’m not sure is cost. It’ll be 4,300 and the fit rate is now 14p, as opposed to the 48p on the current section. Even if it was still 21p it’s a no brainer but at 14p paying off in 20 years is a close run thing. Happy with out current set up but wishing I’d increased before the government pulled the plug on the generous tariffs.